It's WEGO Health's HAWMC Day #11 - Date Night: We’ve seen some posts from Health Activists on dating tips when you have a chronic illness. What tips do you have for those looking for the one fish in this big pond? I'm ready for a date! I don't feel like I have stellar words of wisdom for dating, as I have not done tons of it, but I can share with you my dating/relationship needs, which I have learned from past relationships-perhaps they will help you! I need someone that will not equate fibromyalgia or chronic fatigue syndrome with depression. While it is true that those illnesses are worse when I am depressed, they do not magically go away when I am not and telling me that I should just get my depression or anxiety under control minimizes my situation. Basically, I need someone that will take me as I am and will not minimize me or my illness. But I need someone that knows how to have fun too! Someone that puts me at ease-that does not raise my anxiety levels, but is considerate and easy-going. Someone that I can have passionate conversations with that have nothing to do with mental or physical illnesses, that I go on walks with, out to eat with and just in general, explore the city and each other in mutuality and lovingkindness. 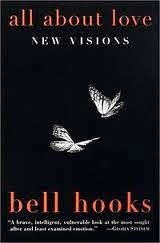 That's what I need and I think it is helpful idea to write your intentions and needs down in regards to love and dating for anyone, as suggested in the book All About Love: New Visions by Bell Hooks, which I read recently. Good luck on your own dating adventures whether you have a chronic illness or not-I hope you get what you need!